Here at Ard Nahoo we love all things yoga. Our approach is inclusive, heart centered and lots of fun. We focus on alignment based yoga informed by both a strong anatomical and philosophical understanding of the ancient art of yoga. The practice of yoga brings together all aspects of our selves (whether we try or not). It is physically challenging and in that challenge the conversation between the brain and body parts is opened, then the mind works hard to keep you present so that you can continue connect inwards. In the whirlwind of all of this activity there is a still point, this is the heart. This is the place inside each of us that never changes, is never absent and is full of light. Yoga brings us closer to that light. You might notice after a yoga class the glow in your eyes, that is your light shining through. Our School provides a safe and comfortable environment in which to unwind, and focus the mind and body. Our classes are suitable for all levels, with each course encouraging development at the student’s own pace and it all takes place in our beautiful studio overlooking the wildlife pond. 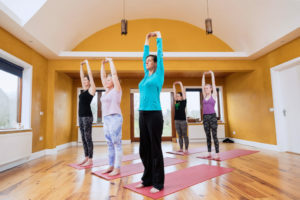 We believe our location in the wild Leitrim hills adds a bit of magic to your practice – allowing you the space you need to immerse yourself in the yogi lifestyle. Noeleen Tyrrell is the yoga teacher and owner of Ard Nahoo. She has been both studying and teaching this amazing practice for many years, has completed several post graduate trainings and this year registered as ERYT 500. 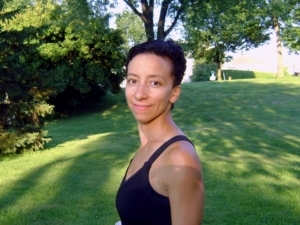 After years of immersive training, Noeleen has recently become Ireland’s first Certified Anusara Yoga Teacher, bringing the Anusara teacher training right to your door. To learn more, visit the ASHY website. Check out our Facebook & Twitter pages too – we regularly update these platforms with newsy articles on the benefits of yoga.